Play Reel Rush Slot by NetEnt - 3125 Ways for You to Win! 100% up to £100 when depositing for the 1st time + 50 Extra Spins on Second Strike. New Depositing Customers Only. Min. deposit £10, excl. Neteller/Skrill. Wagering requirements min. 40x. Game weighting and T&C apply. 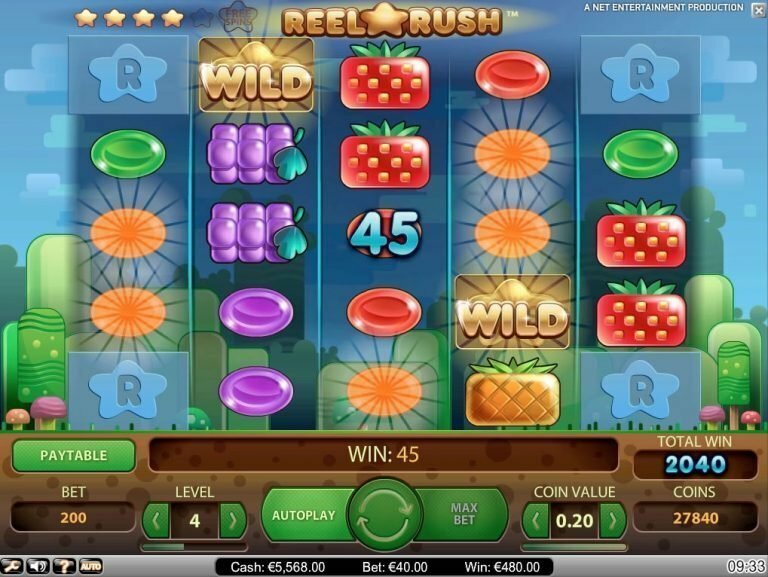 Reel Rush is an innovative slot game developed by NetEnt. It successfully combines slick, modern graphics with a style that is reminiscent of classic console games. Thanks to re-spins awarded when you land winning combinations, the game gives you a stunning 3125 ways to win. Got a sweet tooth? Let’s check out the array of colorful candy and fruit that await you when you play your way to big wins with this Reel Rush slot. Sign up to see what spectacular offers Guts has waiting for you. T&C apply to each individual offer. When it comes to developing some of the freshest and funkiest game titles, you will always find NetEnt among the leaders. 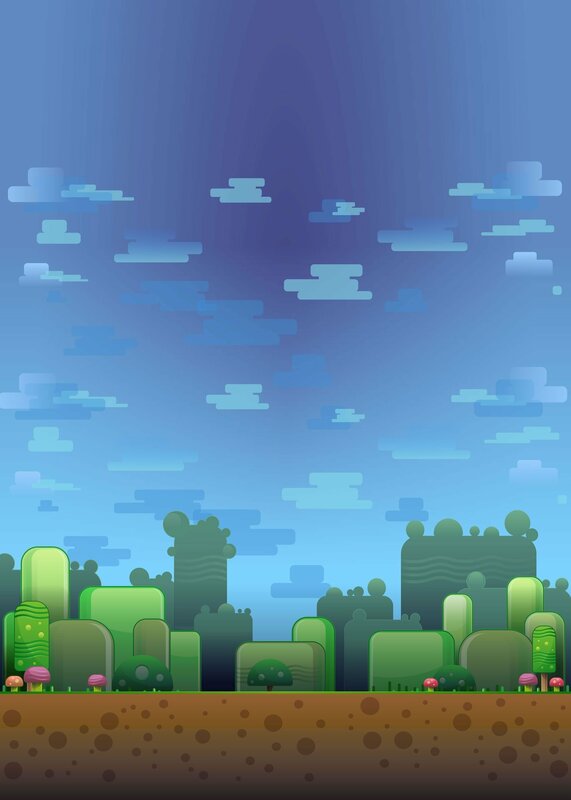 This particular slot has an immediately familiar feel to it, since it seems inspired by the ever-popular Candy Crush and the background resembles something from a Super Mario game. Reel Rush slot features 5-reels and 6 rows with up to 3125 ways for you to win. As soon as you fire up the game, you will find that there are some spaces on the reels that are covered with a fixed “R.” Only reel #3 displays all 6 symbols. With each successful combination that you get, you not only activate a re-spin, but two of the covered “R” positions reveal their hidden symbols and become active, giving you even more ways to win. Each consecutive successful combination will trigger further re-spins and reveal more and more symbols. When there are no more winning combinations, the round ends, and the “R” symbols return. Reel Rush slot also has a wild symbol, which can appear only on reels 2, 3, 4, and 5, and can substitute for the other symbols during the main game, re-spins and the free spins round. If you are fortunate enough to get 5 re-spins in a row, you will then be rewarded with 8 free spins, with 3125 ways to win. Not only does Reel Rush give you plenty of ways to win, it also has a collection of some really great-looking symbols. When you load the game, expect to find a collection of bright-colored oval hard candies spinning on the reels in addition to six fruit symbols. Of all the symbols in the game, the strawberry is the highest paying, with the other premium symbols being the mouthwatering strawberries, blackberries and watermelon. The Golden Star serves as the wild in this game and may appear on any of the reels, except reel 1. By substituting other symbols in the game, the wild opens the board up to more winning opportunities. After 5 consecutive winning re-spins, you will be awarded 8 free spins. In addition, the whole board is opened up, to give you more chances to win. Free Spins are played at the same coin value and bet level as the spin that activated the Free Spins. Note that additional Free Spins cannot be won during the Free Spins round. At the end of Free Spins round, all wins from the Free Spins, re-spins, and the spin that activated the re-spins are displayed as the total win. Although there is no fixed or progressive jackpot linked to Reel Rush, the re-spins feature makes it possible to achieve some huge wins. You will notice that the game proudly displays that you can win up to 480,000 coins. Reel Rush does not feature betting lines in the traditional sense but instead has 45 winning combinations in the base game that can increase up to 3125 ways as you play the re-spins. According to NetEnt, Reel Rush offers an incredible 97% theoretical return to player (RTP), one of the most generous in the industry today. As a medium volatility slot, Reel Rush will thrill you with a succession of small hits that will keep you on the edge of your seat while you unlock larger wins. Reel Rush is a highly innovative slot with a classic look. It not only has thousands of possible winning combinations, but it also has some well-designed, excellent-looking symbols. Playing Reel Rush is highly enjoyable and entertaining and with the bonus re-spins and free spins that improve your winning chances even further, this game is definitely worth a shot.